Despite the fact that the dog was 50 meters away from the shore, neither the emergency worker nor the dog suffered any injuries. 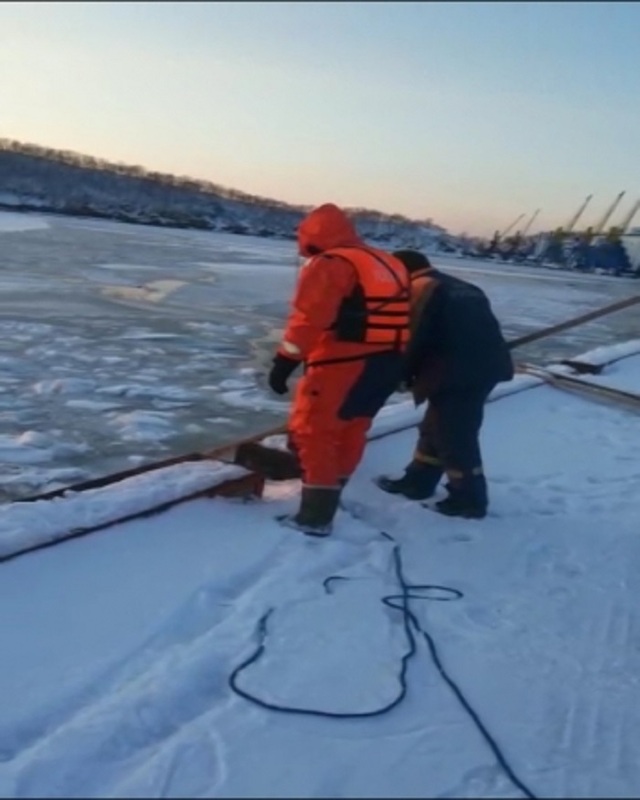 Emergency workers in the city of Petropavlovsk-Kamchatsky in Russia’s Far East have rescued a dog who found itself on an ice floe cut from the fixed ice layer by a tug-boat, the regional branch of the emergencies ministry told TASS on Jan. 30. "A tug-boat leaving the port cut off the dog from the shore. Three emergence workers headed to help the animal. One of them put on a wetsuit and tying a rope around himself started to crawl towards the dog across the ice. Then he crawled back to the shore bringing the dog with him," the emergencies ministry’s branch said. Petropavlovsk-Kamchatsky is located on the shores of the Pacific Ocean’s Avacha Bay which has recently frozen over due to low temperatures. However, emergency workers say that the ice is unstable.